يشكل فندق Banyan Place بموقعه الممتاز في منطقة شواطئ, برامج عائلية, سياحة ضمن المدينة، مكاناً ملائماً لقضاء العطلة بعيداً عن عجقة أيام العمل. يمكن من هنا للضيوف الاستمتاع بسهولة الوصول إلى كل ما تقدمه هذه المدينة النابضة بالحياة. يشكل هذا الفندق ملاذاَ مريحاً للاسترخاء ويمنح زواره فرصة للاستجمام والتجدد، وهو يقع على بعد خطوات من المعالم السياحية الكثيرة للمدينة. إن الخدمات الممتازة وحسن الضيافة العالي في Banyan Place تجعل إقامتك تجربة لا تنسى. يمكن الاستمتاع بمجموعة من الخدمات على أعلى المستويات في الفندق كمثل واي فاي مجاني في جميع الغرف, واي فاي في المناطق العامة, صف السيارات, محلات تجارية, مكان مخصص للتدخين. تتضمن كل غرف النزلاء وسائل الراحة والتسلية المصممة خصيصاً لضمان الراحة القصوى للضيوف. كما أن مجموعة الخدمات الواسعة الموجودة في الفندق لضمان راحتك تترك لك الكثير من الخيارات لقضاء وقتك أثناء فترة إقامتك. مهما كانت دواعي سفرك فإن Banyan Place هو خيار ممتاز لإقامتك في المدينة. We really appreciated our time in Banyan place recently . 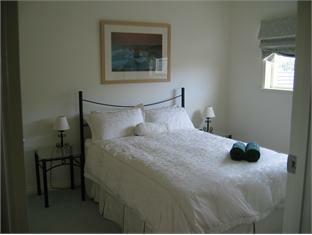 The unit was very well appointed ,comfortable and close to town. Glenda could not be more welcoming and helpful .we will certainly book again when heading to Warrnambool. I have booked this place thru Agoda. On arrival I called owner/manager she was not accodating at all , instead giving me clear instructions on what unit I have booked myself in she gave me a ran around and I have spent 10-15 minutes on phone before I knew which place I got. I thought that was not professional behaviour on her behalf as I have been travelling long way and tired. Whole unit is divided into 2 places and only got access thru stairs to bedroom and bathroom and only access was tru garage. What would happen in case of fire How we exit then. Comfortable and the location was great. Hi Antonio, thanks for your kind review, we really appreciate this! We are Rated #1 in Warrnambool on price location and service, and after 15 years we still enjoy spoiling our guests. All the best for your future travels. Thanks Sam for your review, we really appreciate this! This is our only apartment without full kitchen the other 3 are fully self-contained. We are Rated #1 in Warrnambool on price location and service, and after 15 years we still enjoy spoiling our guests. All the best for your future travels. Many thanks Kim for your kind review, we really appreciate this! We are Rated #1 in Warrnambool on price location and service, and after 15 years we still enjoy spoiling our guests. All the best for your future travels. Thanks so much for your review, we really appreciate you taking the time for us, all the best for the future, kindest regards, Glenda Levett. Fantastic. Well equipped with everything I needed. Full kitchen for those who desire. Luxury spa bath and very spacious. Kristy it was such a pleasure having you stay with us, thanks so much for your review, we really appreciate you taking the time for us, all the best for the future, kindest regards, Glenda Levett. Carolyn it was such a pleasure to meet you, thanks so much for your review, we really appreciate you taking the time for us, all the best for the future, kindest regards, Glenda Levett. Owner/Manager seemed to be very concerned about infant making the place dirty. Don't know what an infant can do, but yeah. Place itself nice location, close to beach. Very clean. Suits couple. Being on the road a lot I am always looking for a place that feels like home. Banyan Place was exactly that. From the first point of contact with staff and the way I was treated to the fully equipped apartment, everything made me feel comfortable. Being able to prepare my own meals or walk to local restaurants was a big plus. Very quiet street but so close to everything. 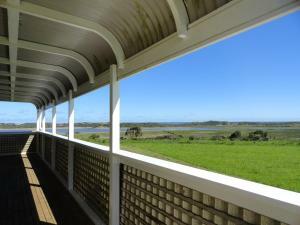 Will definitely be staying here again when next in Warrnambool. Craig it was a real pleasure to meet you, and thanks so much for your review, we really appreciate you taking the time for us, all the best for the future, kindest regards, Glenda Levett. Hi Caitlin, thanks so much for your review, we really appreciate you taking the time for us, all the best for the future, kindest regards, Glenda Levett. Thanks so much for your review Dana, we really appreciate you taking the time for us, all the best for the future, kindest regards, Glenda Levett. 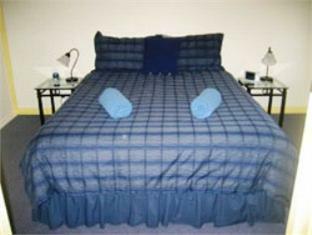 Very comfortable and well-appointed unit in a quiet but central location. Very good service at an affordable price in a well maintained, clean facility. Ken it was a pleasure having you stay with us, thanks so much for your review, we really appreciate you taking the time for us, all the best for the future, kindest regards, Glenda Levett. that was good for family but there was no sink for cleaning dishes.so i felt uncomfortable for staying.i think that place is really good so if owner will fix about that.this place will be better. Satisfactory, we were given privacy during duration of our stay. Many thanks for your kind review, we really appreciate this! 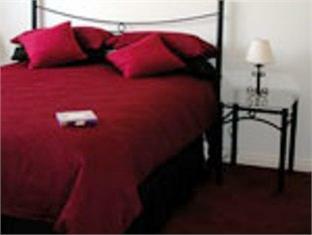 We are Rated #1 in Warrnambool on price location and service, and after 15 years we still enjoy spoiling our guests. All the best for your future travels.